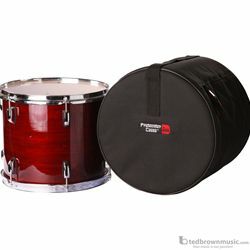 Standard Series Padded Tom Bag; 18" x 16". Durable nylon exterior with 10mm padded lined interior. Comfortable carrying straps and has a collapsible design for easier storage.